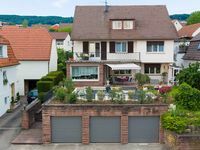 Properties in Waiblingen average 4.3 out of 5 stars. Penthouse apartment in the green "W61"
Property 29: Penthouse apartment in the green "W61"
Beautiful apartments in the brand new renovated old building! 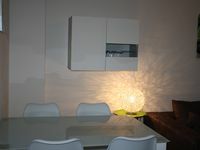 Property 33: Beautiful apartments in the brand new renovated old building! Penthouse panorama apartment with view "W125"
Property 37: Penthouse panorama apartment with view "W125"
Red forest room for 4 pers. Property 47: Red forest room for 4 pers. Great location, great host. Highly recommended! Easy booking. Very friendly and helpful landlady. Good location. Immaculately clean. The photos are accurate. Parking is on the nearby streets. I would happily stay here again. Even pets are welcome! My only negative is the shower- a third of it is taken up by the water heater, which is hidden behind the shower curtain in the photos. The space is small and there was not a lot of hot water, so you must shower quickly.